Works with Prepar3D, X-Plane, FSX Steam, DCS World, and others. 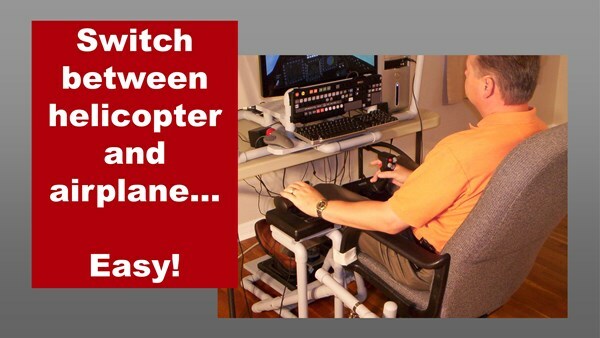 Works with flight sim controls from Saitek, Thrustmaster, CH Products, Logitech, and others. 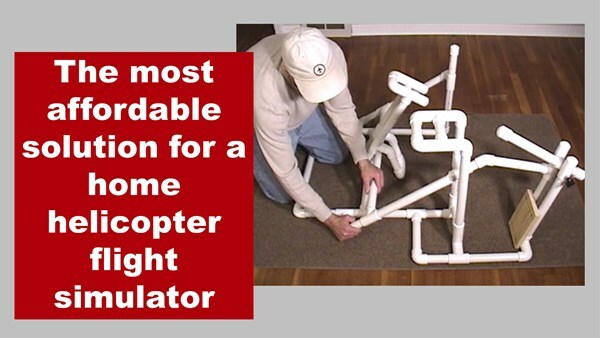 Helps make your flying more enjoyable by holding your chair in place. 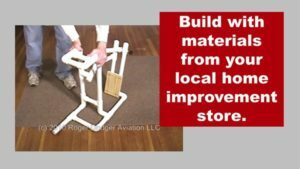 Freestanding frame. 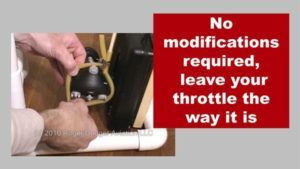 You don't have to bolt anything onto your desk or chair. 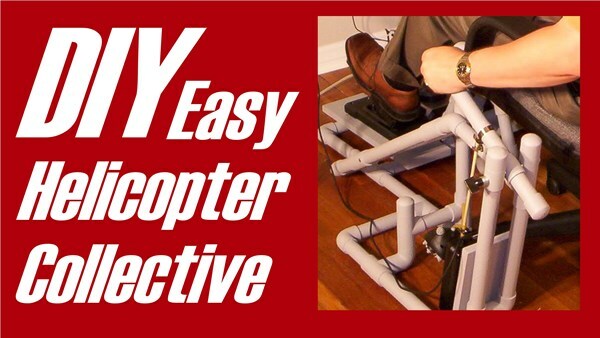 The F331 Easy Helicopter Collective is one of my finest designs and will help significantly with your helicopter sim. 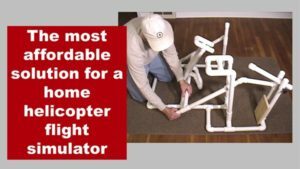 If you're new to helicopters, the collective makes it much easier to learn. 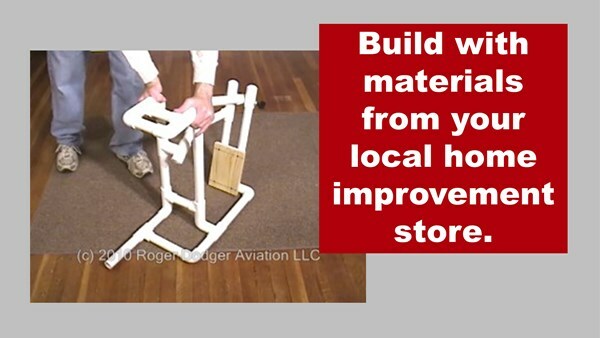 This is a DIY project you can build at home with materials from a hardware store. 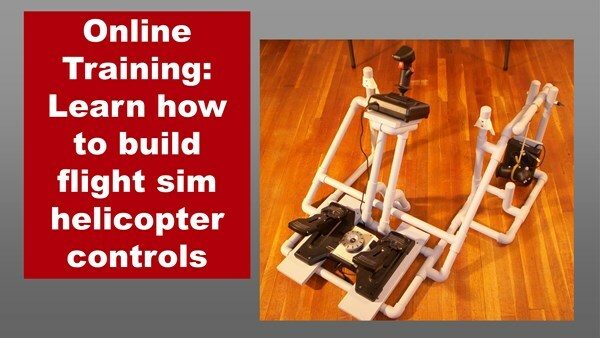 The comprehensive online training shows you how to build an effective and inexpensive frame for your flight simulator controls. 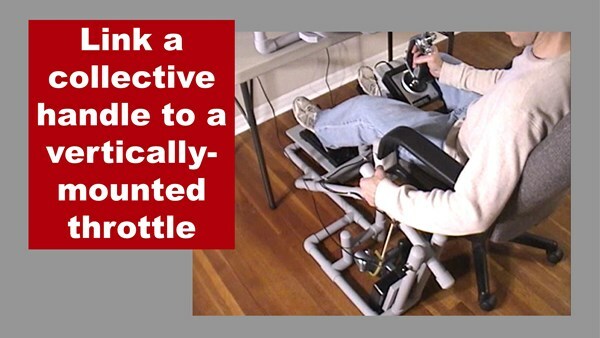 This is particularly helpful if you are using a Virtual Reality (VR) headset because you can't see your real world controls while using VR.